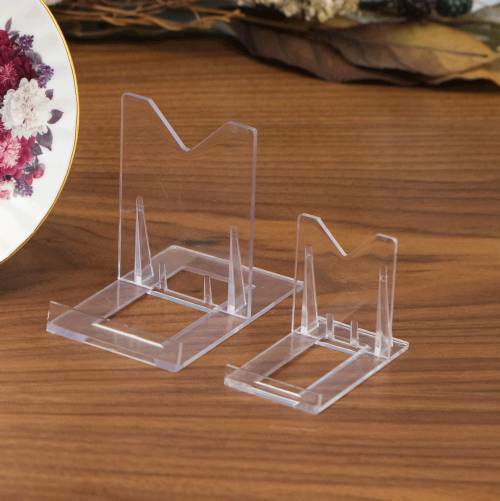 These inexpensive and versatile acrylic stands come are economically priced in a set of 12. They have an adjustable back for accommodating a variety of items and are available in two different sizes. 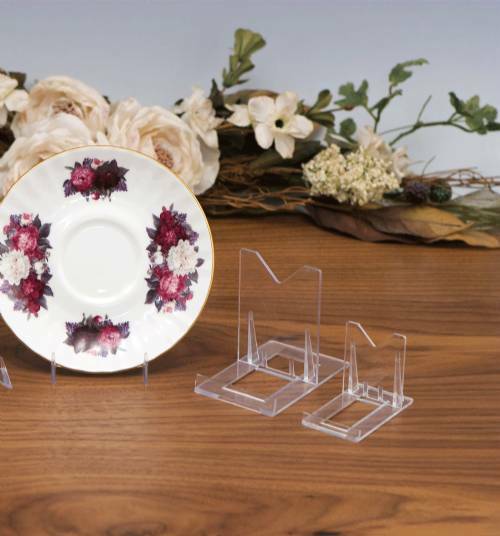 Perfect for displaying varying sizes of plates, tiles, books, geode slices and more!